"La marque qui s impose par ses qualites, par ses prix" (The brand that imposes its qualities, by its prices. 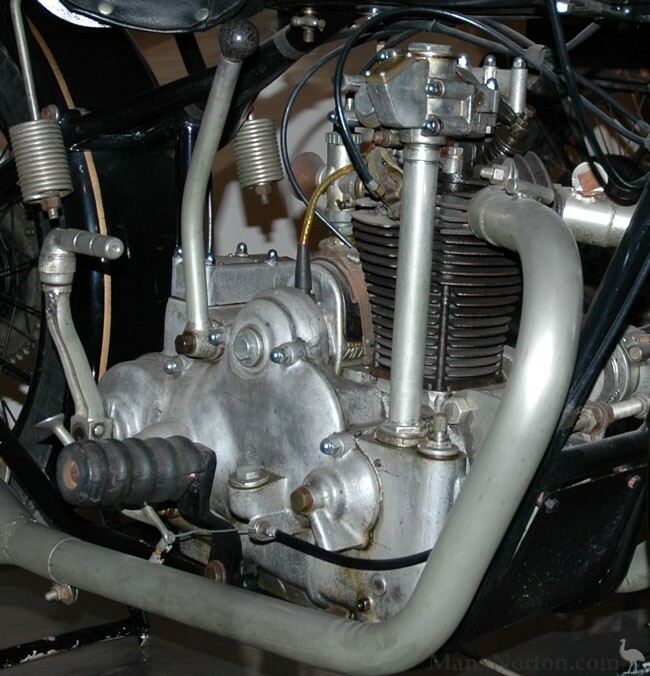 Founded by Marc Martin in 1926, the Vincennes factory's first model was a 175cc single. This basic model remained in production, with minor developements, for over a decade. In 1927 it was joined by a 250cc three-speed dual exhaust model and 1929 saw the introduction of a 500cc JAP model with Staub gearbox. This model was short-lived due to the financial crisis. Shortly thereafter a similar model with a Chaise OHC 500 engine was introduced. It was a handsome machine but was heavy and apparently lacked performance despite being advertised as capable of 115 km/h. The Chaise 500 was a unit-construction OHC 490cc (87.7 x 85 mm) with dual exhaust ports, wet sump and three-speed gearbox. A beautiful engine, but it weighed over 50kg. Engines were mostly Staub-JAP, byt they also used LMP, Chaise and Voisin. Gearboxes were by Staub and Picard.